At my current job we purchased these cameras, but what you’re probably wondering is “how does the Sony FS5 footage look?” So let me dive into a little review of my experience. First off, I’m falling in love with slow motion. I have not used slow motion in the past due to the lack of access I’ve had. But with these new Sony FS5s I’m digging the 240fps at full HD. Granted you can only record for 8 second spurts and then sit there and buffer while the internal memory dumps the footage onto the SD card. However, it’s worth the wait to see the smooth images I’m able to capture. One trouble I had when first picking up the camera is the menu system. For some odd reason it’s difficult to navigate if you’re used to the Canon DSLR menu I’ve become accustom to. However, it is nice to have quick access to a lot of buttons on the side of this camera. Here’s a rundown of Pros and Cons that I agree with from Eduardo Angel. Uses the cheap and widely available SDXC cards. Poor performance of the XAVC-L codec in Adobe Premiere. MOV or at the very least XAV-I codecs would be much better. 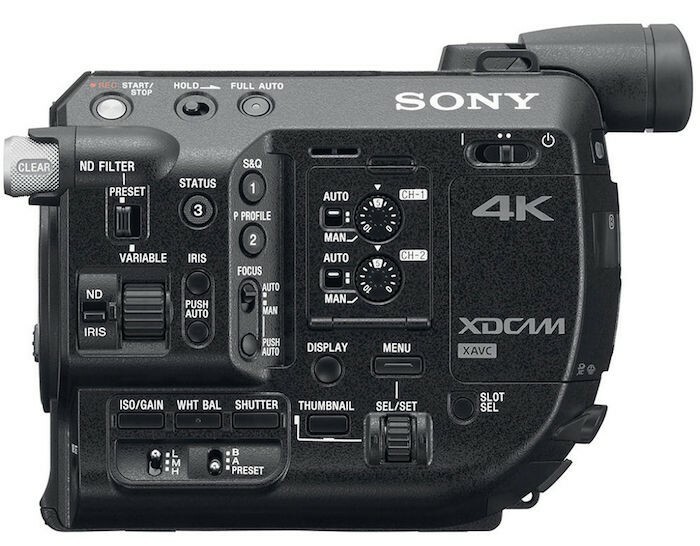 4K specs are very weak for this relatively new camera and does not offer any slow motion when in 4K. The lack of LUT and a waveform monitor makes it hard to shoot accurately with flat profiles. The viewfinder is crap. It works ok but the LCD monitor is better, but also limited. The autofocus system is ok. Overall, for the price point it’s nothing mind blowing in the way of features or abilities, but it’s a solid option for run-and-gun videographers who need a reliable HD camera. Here is a more in depth “advanced features” video that will show you the ins and outs of this Sony Super 35mm camera.